Coastal Living Home Sales is a builder of modular and manufactured homes serving the lower Del-Mar-Va peninsula and surrounding areas. We display, sell, and build modular homes by Pleasant Valley and manufactured homes by Pine Grove. Coastal Living is a family-owned and operated company, with the proprietors having over 40 years of experience in the home building sector. Styles of modular homes include ranch, raised ranch, cape cod, colonial, log-sided homes, chalets, and more. Manufactured homes offered include multi-section and single-section homes. Coastal Living offers many facets of the site preparation process, as well as access to[Sales Center] construction and mortgage financing partners. 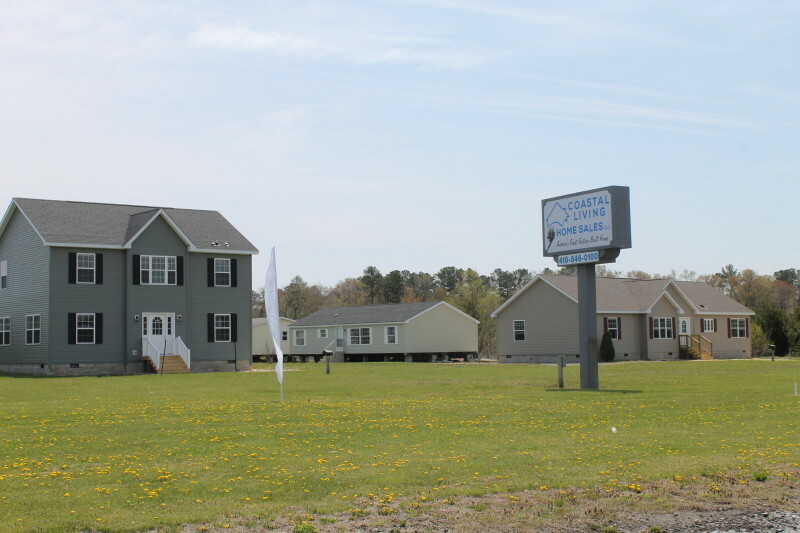 Coastal Living is an official retailer for Pine Grove Manufactured Homes and Pleasant Valley Modular Homes. Mike is among the most experienced and capable builders on the Delmarva Peninsula. He and his team of contractors, surveyors, and engineers have completed projects that range from luxury homes on ten-feet high pilings to multi-family construction (town homes, and condominiums) to FEMA flood plain sites. His manufactured housing experience includes the completion of hundreds of single section and multi-section manufactured homes that have been placed in communities, on private land, and on farms. Mike and Kelly work closely with all planning and zoning offices and inspectors to insure that your new home meets or exceeds all federal, state, and local building codes. Due to an absolute commitment to quality Mike and Kelly have chosen Pine Grove and Pleasant Valley as their manufacturer of choice. Stop by Coastal Living Home Sales in Eden, MD to meet Mike & Kelly in person and learn more about the great homes we build.